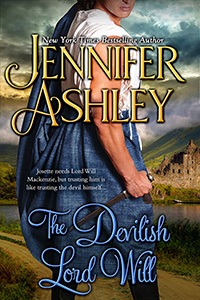 The Devilish Lord Will (Mackenzies Book 10) is ready for pre-order! (WIll is the brother of Alec and Malcolm from The Stolen Mackenzie Bride and Alec Mackenzie’s Art of Seduction). I chose a pub date of January 15 for a couple of reasons: 1) I can spend more time rewriting, editing, and polishing instead of throwing out a near-draft; and 2) it won’t get lost in the holiday crush. I’m excited to add another episode to the Mackenzie saga!